Tall Bearded Iris "BEACH GIRL"
Another of Barry Blyth's long blooming Apricot Tan Amoena line with typical classy form. Creamy white standards are gracefully edged gold and have just a blush of pink in the midribs. Falls are a solid Apricot Tan which are illuminated with a piping hot tangerine reddish beard. Medium size blooms with eight to ten buds on each good strong stalks. Great health with average increase and most importantly fertile both ways. A slight sweet fragrance enhances the appeal. Once you have a mature clump established 'Beach Girl' will bloom its socks of for you for the full length of the Tall Bearded bloom season. Quick to attract attention, it is a seriously good garden variety!! BEACH GIRL (B. Blyth, R. 1983). Sdlg. P49-3. TB 39" (99 cm) E-L. Standards white, hint of pastel pink at midrib; Falls orange apricot; tangerine red beard. Champagne Snow X (Love Chant x Festive Skirt)., Tempo Two 1983/84. Selling this year in New Zealand at 'Amazing Iris Garden', or 'Richmond Irises'. Saturday 1.30 - 4.30 pm. Sunday 9.30 am - 3.30pm. Entry fee is $4 adults, children free. Open to Public: 12 noon to 4:00 p.m.
Saturday 1.00 - 4.00. Sunday 10.00 - 4.00pm. Saturday 1.30 - 4.30 pm. Sunday 9.30 am - 4pm. Entry fee is $2.50 adults, children free. Home Industries, Cattle, Equestrian, Dog Trial, Tractor Pull, Tug of War, Kidzone. or email egmont.ap@xtra.co.nz for Schedules and entry forms. Show Office 06 278 8613. Saturday 2.00 - 5.00 pm. Sunday 1.00 - 4pm. 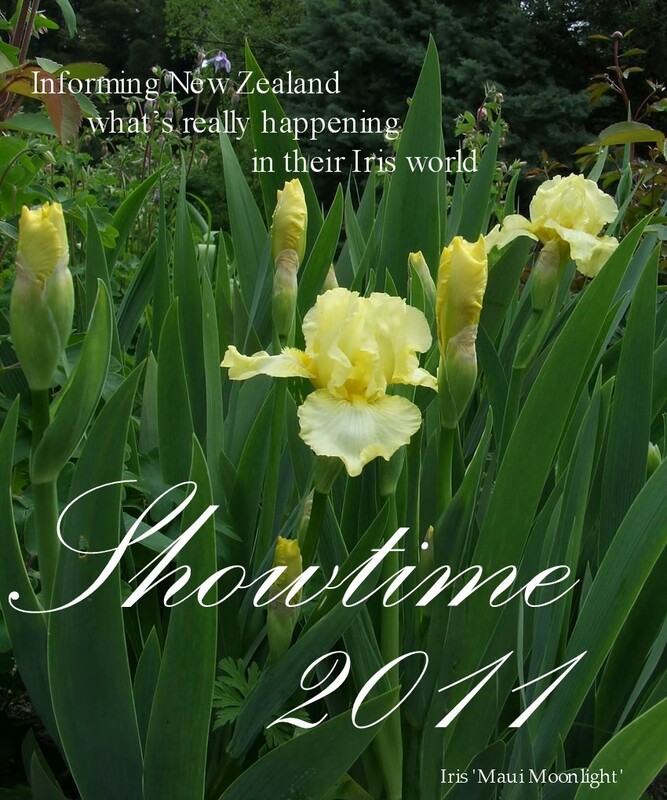 The above is a list of New Zealand 2011 Iris Shows to date. If you require a show schedule or times to stage your blooms please do not hesitate to contact the Show Secretary's listed above. This post will be updated when I am notified of more shows. If you have a show you would like to add to the list leave details as a comment. Intermediate Bearded Iris " FURIOSO"
Bright little bugger isn't it !!!!! The Iris worlds 'High Vis' bloom. Photo taken this morning with an overcast sky. Four or five shots where brilliant but I have chosen this shot to accentuate the amazing Saturn red beards. Tempo Two Iris, Daylilies, Hosta catalogue 1996-1997 season. FURIOSO (Blyth 96 Aust.) EM. 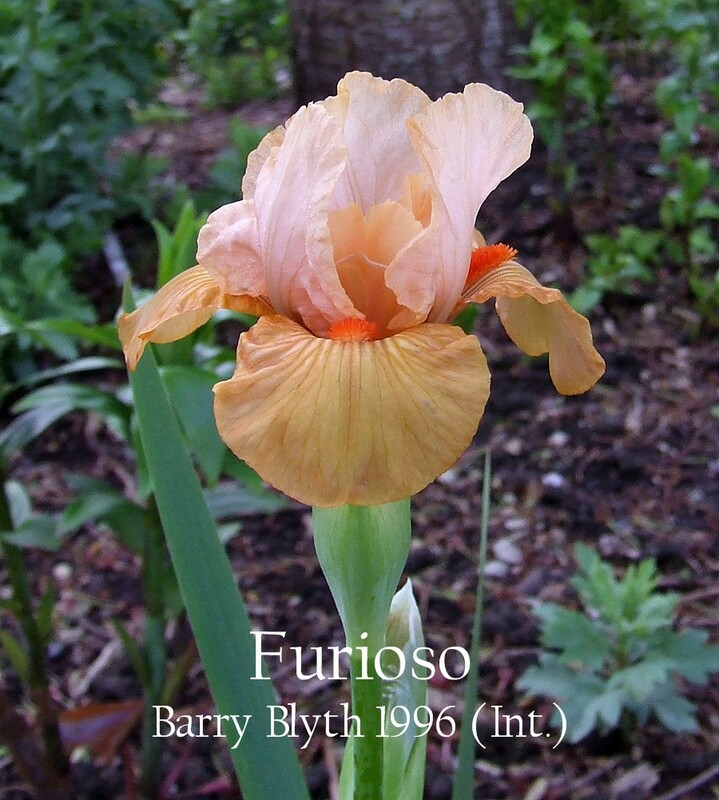 24"
FURIOSO (Barry Blyth, R. 1996). Seedling C72-A. IB, 24" (61 cm), EM. Standards medium pink; falls orange apricot; beards bright Saturn red; sweet fragrance. Mango Kiss' X 'Bogota'. Tempo Two 1996/97. Selling this year in New Zealand at Amazing Iris Garden, or Richmond Irises for the princely price of $7.50 or $8.00 respectively so get your orders in before it sells out. It has also recently been reported that it is available bagged in North Island Garden Centres so go and ask them for one and if they don't have one get them to order one for you. Growing at home and a welcome addition blooming this morning, I.albicans is an early flowering, slightly fragrant heirloom iris of historical significance and could be classified as an Intermediate Iris. I. albicans is a natural hybrid that has found favour with gardeners for at least the last 800 years. Marc Simonet in his published thesis ‘The Genus Iris, Cytological and Genetic Research’ states that I.albicans among other listed species possesses (2n= 44) number of somatic chromosomes indicating that this species arose through a cross with a 40 chromosome species and a 48 chromosome species making it a hybrid. There is a lot of conjecture about what ‘albicans’ parents are likely to be and to the precise origin of its homeland. No real proof has been forthcoming supporting any of these theories, and should there still be an interest in Irises in another 200 years not much will have changed regarding the current status of I.albicans. Distribution; Perhaps native of Yemen in Arabia and widely distributed by, the Mohammedan’s, Spain, France, Crete, Cyprus, Asia Minor. Colour effect a self, standards and falls, white. Standards pure white; shape, rounded oblong, narrowing suddenly; haft short, canaliculate, without hairs, faintly veined with yellow. Falls, white; haft white; faintly reticulated with greenish yellow veins which do not extend to blade; blade obovate, haft wedge- shaped. Minor parts; beards, front white hairs with yellow, base deep yellow; style-branches ovoid, white, keeled; Crest narrow, pointed, serrate; pollen cream-coloured; spathe-valves navicular, broad green, hardly scarious at all or only in upper third when the first flowers open, 1½ inches long. Growth; rootstock a stout rhizome; habit compact; foliage leaves ensiform, somewhat wider than those of, I. germanica but the 15-18 inch long, branched, inflorescence resembling that of I. germanica but the lateral flowers more closely set on shorter branches which are almost entirely concealed in broad green bracts, terminal head sometimes 3-flowered; tube equal to or slightly longer than ovary; pedicle very short; ovary ¾ inch long, trigonal, with slight group on each face; stigma entire; filaments white, about equal links to the cream-coloured anthers. To complete the account of wild T.B.’s, mention should be made of the lovely pure white Iris called albicans, which is fairly common in our gardens and which does not come under any of the three clans just described. This plant seems to set no seed and to produce no effect upon, wherefore (unhappily) it has no place in the record of the origin of the garden hybrids. (In 1927 I for the first time obtained a few apparently sound seeds; what may come of them remains to be seen) But it has an interesting story to tell. It was conjectured by Dykes to be an albino form of an Arabian species called Iris Madonna, whose flower is of a bluish purple shade. Now this typical form is not common anywhere, but albicans is found all along the Mediterranean coast where ever the Moslem invaders from Arabia penetrated, having been planted by the Mohammedan in their cemeteries. It looks as though they had bought it with them as they wandered westward. I have grown forms of it, from Egypt, Greece, Sicily, Spain, Madeira ; the finest perhaps is one which I begged from the hotel garden in Syracuse which overlooks the “quarry” where the ill-fated Athenians were starved to death in B.C. 413. I have recently had some confirmation of Dykes' surmise having noticed a flower of albicans with the purplish streak on the pure white, a reminiscence of the purple-flowered Madonna from which it sported centuries ago. 'Rainbow Fragments', Chapter 2, Historical and Otherwise, J Marion Shull, 1931. The lack of certainty as to place or time of origin or native habitat in case of indigenous species, leaving all to veriest conjecture, is due no doubt to various causes. All history of every kind is lost in a sufficient degree of antiquity, and doubtless some of these plants were cultivated longer ago than there were records to bear out. Then the very nature of the rhizomes, so constituted that they can withstand months of ill treatment and still retain the spark of life, capable of quick recovery when conditions again are right, has made both purposed and accidental distribution relatively easy. Thus Iris albicans, whose origin is likewise lost beyond recovery, is known to have made a special appeal to the Mohammedan’s faithful who, whether they invested it with sacred character or merely adopted it as a conventional ornamentation, made habitual use of it upon the graves of their dead, and so it spread where ever the roving character of the fiery followers of the Prophet lead them to live and die. Thus it doubtless spread westward from Asia Minor across northern Africa and into Spain, whence it must have been carried to the New World, since it is found, apparently escaped from cultivation, in the region of the Sierra Madre in Mexico. Hardy Bulbs, Volume I, 'Iridaceae', Lt.Col.Charles Hervey Grey, Published Williams & Norgate, London, 1937.
albicans, Lange. VII. Often listed as I.florentina. It is of obscure origin, as it is widely distributed as a cultivated and a naturalised plant throughout southern Europe. In all probability it was introduced from Arabia the Mahomedans, who always use it as a cemetery plant. The rhizome is solid, compact; the leaves thick, rigid, those in the centre of the clump having a spiral twist; the blade of the falls obovate, pure white, the haft cuneiform, with a few pale green lines, the beard mainly deep yellow, with a few white hairs, yellow tipped in front; the standards oblong, pure white, of good substance, with a narrow, canaliculate haft; the styles White, ovate; the crests narrow, acute. The flowers are produced in May. It requires a warm situation and a fairly stiff, well-drained soil. var. Madonna, hort. Sprengel. A form with blue purple flowers. Its needs are identical with those of the type. 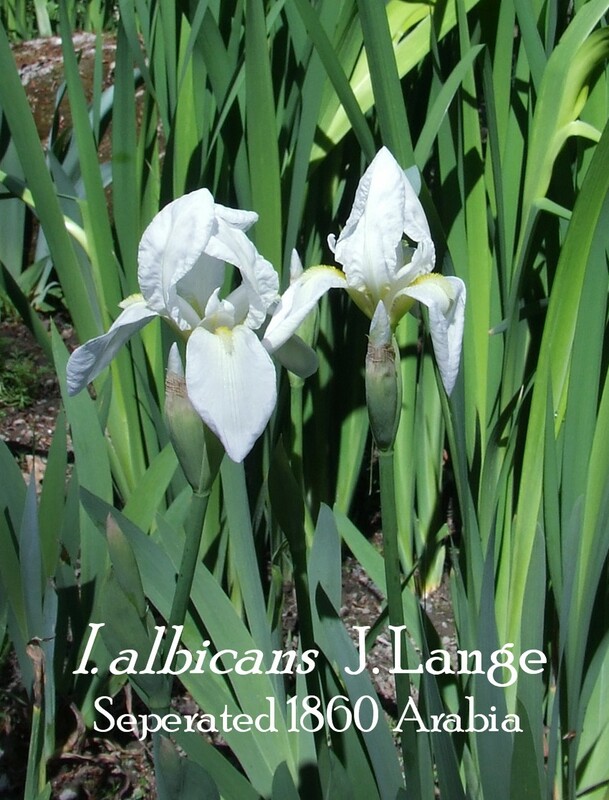 In 1860, Lange gave this name to the white Iris which he found in the vicinity of Almeria, Spain. The actual homeland of this Iris is probably the Arabian Peninsula; it was disseminated during the wave of Islam expansion over Africa and South West Europe, carried along to be planted on graves of former Muslim warriors. Grows all over the Near East, in Libya, Tunisia, Algeria, and Morocco. The Spaniards carried it to Mexico. Thus I. albicans is also found growing wild all over these countries as a volunteer from gardens. It grows on sunny embankments and slopes. Planted on graves in many Moslem regions. I. albicans can easily be distinguished from I. florentina the other old, white Iris by its branching habit. While I. florentina has good branching, the blossoms of I. albicans are held quite close to the stem. I. albicans also has no hair at all at the base of the standards, and its spathes are more or less papery at the top when the plant blossoms. I. albicans has somewhat wider leaves that tend to twist, a bit giving the plant and unusual appearance. The bottom colour is pure white in the beard is yellow. Lange called this widespread white form I. albicans; a less common form was blue-violet blossoms, found in Yemen, has been called I. albicans ‘Madonna’ or I. albicans var. madonna. Except for the blossom colour, both variants are practically identical. This Iris is for collectors or a welcome souvenir from a vacation. It is very robust and warm regions with good drainage, but acts like a “spoiled brat” in cold areas. More prone to rhizome rot than I. florentina. New leaves develop fairly late in the fall, so that either the tips or the whole leaf suffers in the cold winters. Blooms freely in the right location. Division is preferable; rarely propagated by seed. Number of chromosomes 2n= 44 (M. Simonet 1932). Iris albicans Lange. There has frequently been some confusion between the species, which occurs wild in Arabia, and Florentina, the albino version of I. germanica. In 1802 it was beautifully figured by Redouté under the name of I. florentina and it was not until 1860 that it was given specific status, when Lange named it I. albicans. It is a stocky plant usually 30 to 60 cm in height in the wild, with short broad (1.5-2.5cm wide), very green-grey over wintering leaves which are abruptly narrowed to an incurving tip. The scheme has one to three terminal flowers and is often unbranched but may have one in either sessile lateral flower head. The sweetly scented flowers are about 8 to 9 cm in either pure white or blue, produced from very broad blunt bracts which are green or purplish tinted in the lower half or two thirds, and papery-transparent in the upper part. The beard is a white hairs, tipped with yellow, and there is a greenish-yellow flush to the hafts of both the falls and the standards. It is the blue-flowered form has been given the name ‘Madonna’. ‘Florentina’ is easily distinguished from I. albicans because the bracts are almost wholly brown and papery at flowering time, the lateral flowers are stemmed and the flowers are very slightly flushed with pale blue, not is pure white as in the white form of I. albicans. Additionally, ‘Florentina’ has narrower leaves which are green in colour. I. albicans is a native of Saudi Arabia and the Yemen Arab Republic where it grows in dry rocky places or on banks at altitudes up to 2700 metres. New material has been collected in recent years and introduced into cultivation and it seems to be a ‘good’ wild species. Both the blue and white forms occur in natural populations, although the latter seems to be much the most common. It seems fairly certain that I. albicans has been distributed through western Asia by man as a plant to adorn graveyards. 'The Book of Iris' by R. Lynch published in 1907 listed 'Florentina' as I.florentina a species, and surprisingly lists albicans as Var.albicans a hybrid of florentina. Var. 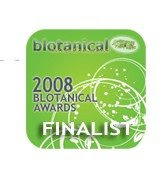 albicans (Lange) Ic.Plant. Hisp., t. 33. Flowers pure white; perianth tube ¾ in. long; limb 3 in; beard pale yellow. The spathe-valves are shorter than those of the type, and the inflorescence is more compact. Flowers later than I.florentina. There is a garden form named “Princess of Wales.” Native from Spain to Cyprus. Albicans, Princess of Wales, purest white, very handsome: May and June. Award of Merit, R.H.S., to KELWAY AND SON. 9d.each 7/6 doz. 2½ ft.
Albicans. TB-W1 (Lange-1860-S-Arabia); Kjoeb. Vidensk. Meddel. 76. 1860; Wal. 1879; Fos., J.R.H.S. 15; 3.Oct.1889; Berry. 1929; Class 1, AAA 119; A.M., R.H.S. 9 June 1891, shown by Kelway as Princess of Wales; H.C. R.H.S. 18 May 1916, AA clvii ; YEMEN I.; alba, Savi; florentina, Koehler; florentina Kunze; florentina, lam. ; florentina, Red. ; florentina, Tratt.;73;70;72. Tall Bearded Iris "CABARET ROYALE"
Take crisp medium blue tinted lavender standards, slightly darker violet in the midribs, some ruffled and flaring velvety falls in black violet with white veining on the hafts, add the bushy tangerine beard – and voilà ! With its excellent branching and a sound, vigorous plant which shows quick increase, this child of the seventies, 'Cabaret Royale' is a much loved neglecta and an ancestor to Barry Blyth's highly respected 'In Town'. The outpouring of white veining from the heart of the bloom would have been frowned upon by the Iris Cognoscenti in the seventies but today is now quite the trend. At 36 years old 'Cabaret Royale', which can re-bloom, puts on a lovely display in the garden. Who would have thought Jean Stevens' 'Sunset Snow' would be in the ancestry? 'Sunset Snows' stars as the pollen parent to the pink amoena 'Twist and Shout'. This classic iris was sold to me in New Zealand many years ago labelled as 'Witch's Wand', surely with a smidgen of research they could of labelled it "One of Witch's Wand grandparents" which would of been a lot more appropriate. There is a dilemma that 'Cabaret Royale' and many other irises of the seventies have in becoming 'Historic Irises' (because of their thirty years + age). Their form and colouration is not too dissimilar from recently introduced 'Modern Irises'. Let me give you an example; Just how much difference is there between 'Cabaret Royale' and Paul Blacks 1999 introduction ,'Habit' with its simple flower form? (and a child of 'In Town'). Begging the question that the gardening public is asking - just how much of a difference is there between a recently classified Historic Iris and some Modern iris these days???? The Iris Yearbook (BIS), 1981, “Varietal comments on Australian T.B. Irises”, page 50, J. E. Venner. Jack Venner writes how a selection of Australian raised Tall Bearded irises performed in Essex. Cabaret Royale (Blyth 76) This Iris created a definite impression when first seen in flower, being one of the first neglectas with bushy, tangerine beards. The standards are a light blue, ruffled with lacy edges and flaring falls are purple with a black sheen. It is a good grower and will satisfy most Irisarians who are tolerant of haft markings, but for the purists there is a new variety bred from it named 'Magic Man' (Blyth 79) that is said to be a all-round improvement and may not show so-called haft defects. The Iris Yearbook (BIS), 1982, “Varietal comments on Australian T.B. 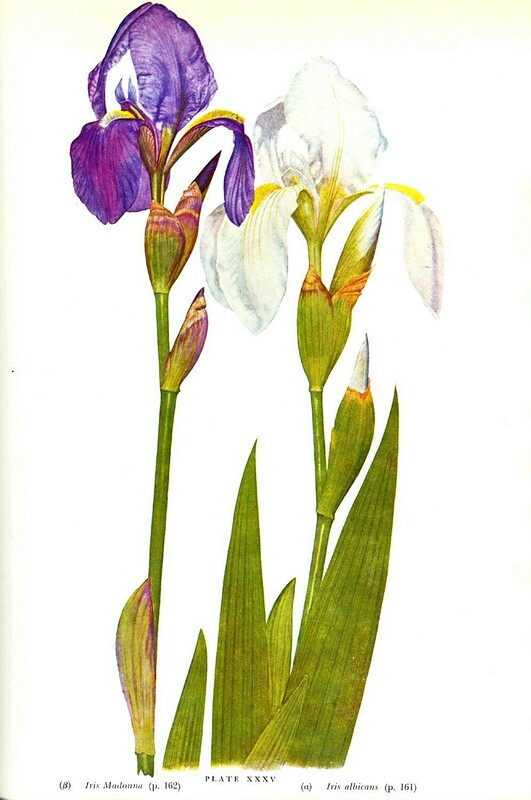 Irises”, page 60, C.E.C. Bartlett. Cy Bartlett writes about a similar range of Australian raised Tall Bearded irises and how they performed in Somerset. The garden at Cannington presented a complete contrast with Jack Venner's garden in Essex. Cabaret Royale (Blyth 76) At the opposite end of the scale from the quite calm of 'Asian Empress,' 'Cabaret Royale' is an Iris people love or hate. I.e. must admit that I find that it shreiks just a little too much for me. A blue and black neglecta, heavily haft marked with white and to crown it all violent, bright tangerine red beards. To add yet more colours this style arms of light blue are tipped and washed with brown. You certainly wouldn't overlook it in the garden! Not a particularly good grow for me either. CABARET ROYALE (B. Blyth, R. 1975). Sdlg. G104-1. TB 36" (91 cm) M-ML. S. light blue with violet infusion around midribs; light blue style arms tipped brown; F. black violet; coral tangerine beard. Panoramic X Twist and Shout., Tempo Two 1976/77.